Taxi and Uber-like services will temporarily cost an additional 90 cents per ride as the Quebec government is boosting compensation for taxi permit holders across the province. Taxi and Uber-like services will temporarily cost an additional 90 cents per ride, as the Quebec government is boosting compensation for taxi permit holders across the province. 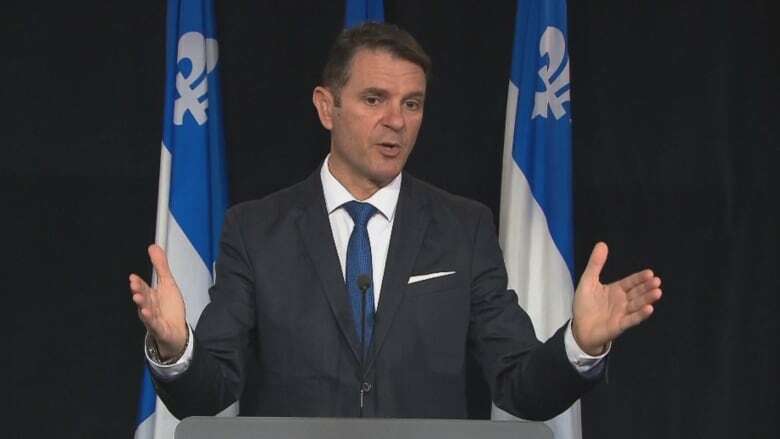 After weeks of taxi industry protests against the government's plans to deregulate the industry and abolish taxi licensing, Transport Minister François Bonnardel says he will be upping the compensation package to a total of $770 million. And it's the riders who will pay for it. At first, $250 million was paid to licence holders in 2018. An additional $250 million was announced in March. Still, the plan wasn't covering the full price that many licence holders have paid for their permits, coming up short by tens of thousands of dollars in some cases. Taxi licences, which hover in the $100,000 to $150,000 range on average, won't be worth a penny after deregulation — a plan that has outraged taxi drivers who say it will kill the industry and bankrupt permit-holders who are still paying off their licences. Following the adoption of Bill 17, the minister says an additional 90 cents per ride will be in place with the aim of earning $270 million in the coming five to six years. This is a considerable jump from the original plan of 20 cents per ride over a three-year period. The collected funds will "ultimately compensate all licence holders," according to a government-issued statement. "I think this greatly responds to the security of taxi owners," Bonnardel said during a Monday morning press conference, noting his primary goal is to improve the vitality of Quebec's taxi industry. In recent weeks, the government has listened to various proposals, he said, and now he is "announcing a solution that would provide taxi licence holders with financial assistance equivalent to the cost of acquiring their licence, without resorting to greater use of public funds." Bonnardel said there are those in the taxi industry who are interested in negotiating and even approve of his plan, but there are also those who refuse to accept the olive branch. Some taxi industry leaders have already come out in opposition to the minister's plan, saying in a statement that Bonnardel is only improving the industry's "death benefits." 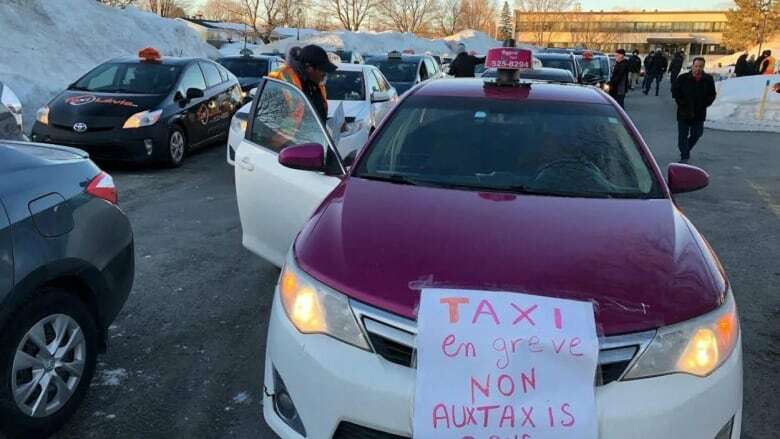 "The minister's proposal is that we will have better funerals, but he will still kill the taxi industry to please Uber," said Abdallah Homsy, a spokesperson for a group representing Quebec City taxi drivers. The amount offered represents only 59 per cent of the market value of taxi permits, the taxi statement says, adding that amounts to "stealing" $530 million from pockets of taxi drivers who have complied with all the province's requirements. Royalties on each ride will apply without distinction to taxis and other carriers, meaning the taxi industry will be covering the costs of its own licences and this comes at the cost of 22,000 jobs, according to Homsy. He says the minister could instead require Uber to refund "stolen taxes" from 2015 and 2016, instead of passing the bill over to riders and taxpayers.